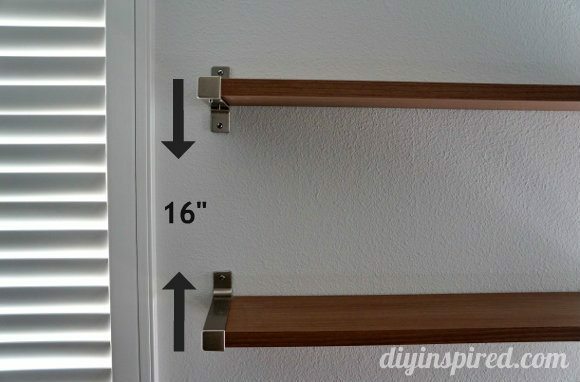 Have you ever moved and thought that your old furniture no longer fits in your new place? I have. Most of my old furniture is made of wood and my new place has hardwood floors. My place started to look like a log cabin with all the wood. 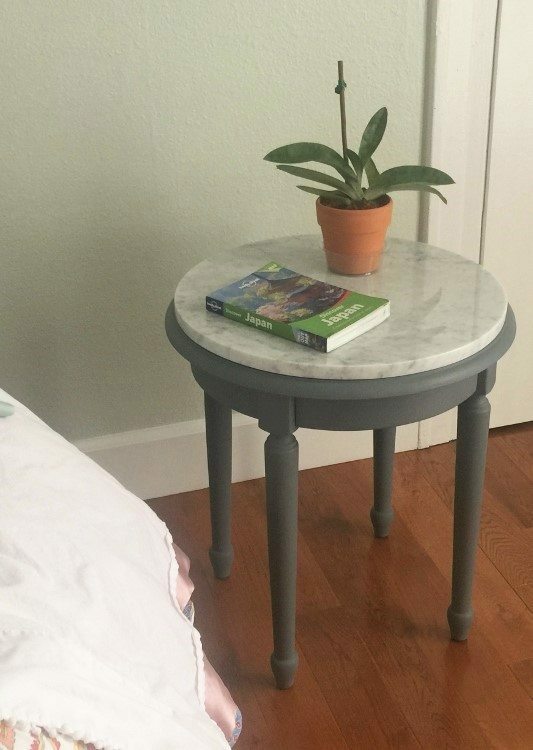 BUT, I figured out a way to upcycle my wooden side tables simply using: chalk paint, marble, and some vinyl discs. 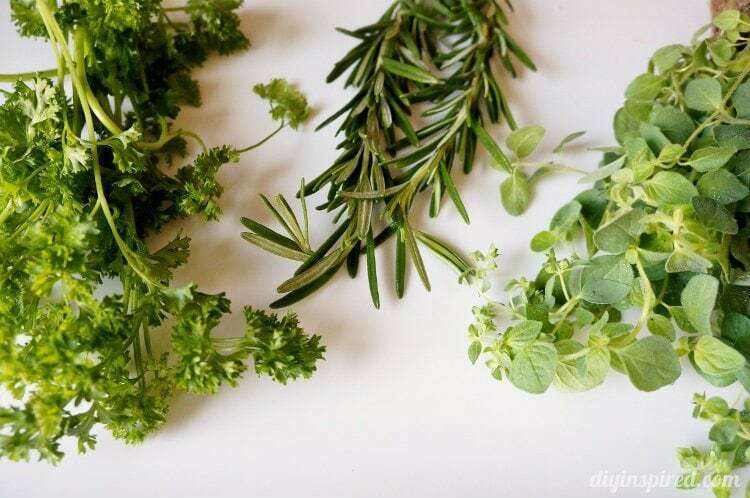 It’s VERY easy and affordable. 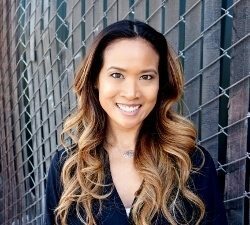 Check out Dinah’s guide for why you should buy furniture secondhand. 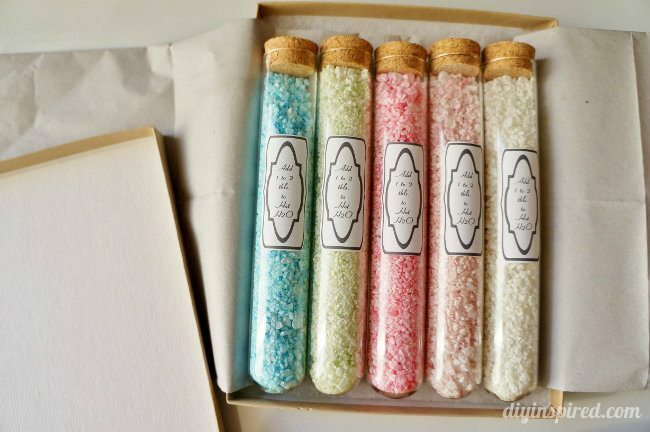 It also includes a list of trash to treasure project ideas. 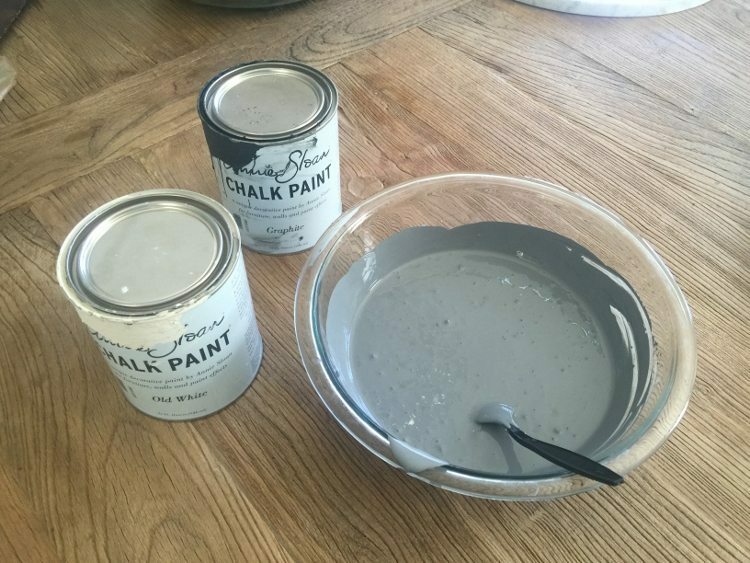 First step: Select a chalk paint to your liking and apply to your piece. No sanding needed. 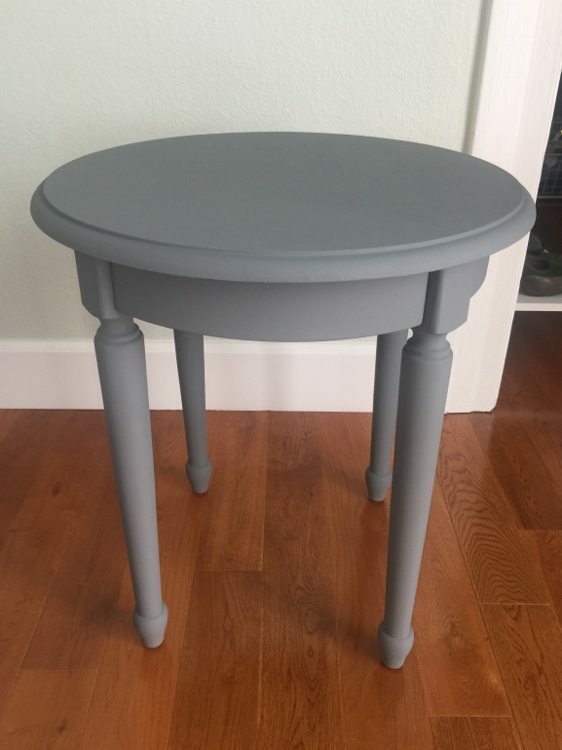 I wanted to paint my tables grey. 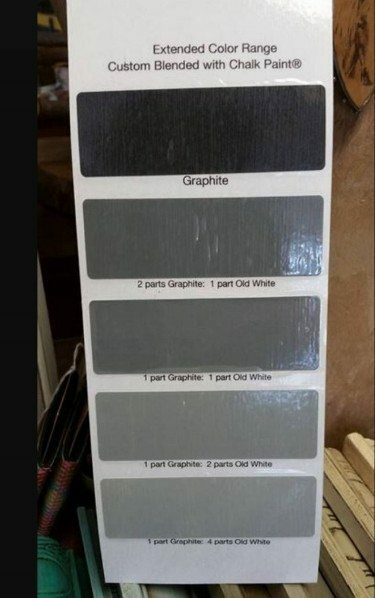 I had black and white paint so I put equal portions of each for my perfect grey. I did 2 coats and waited about 4 hours for it to dry completely. 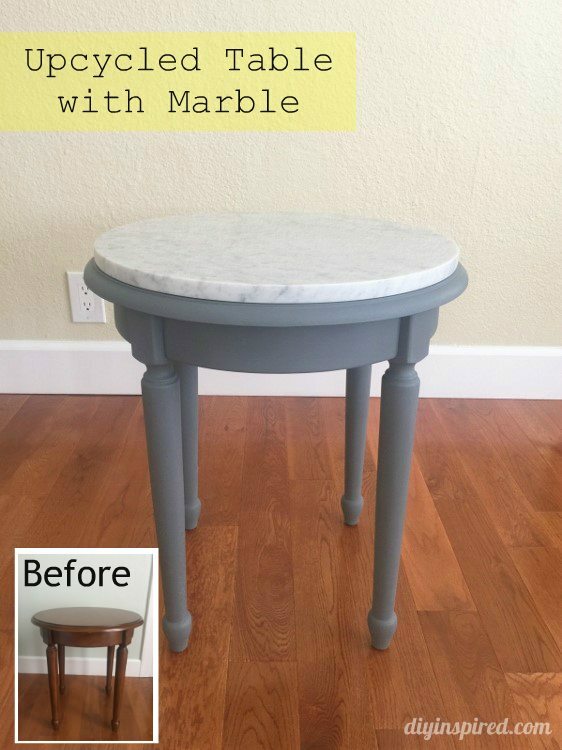 Second step: I’ve always loved marble and found a construction company that sells marble remnants for cheap. They will cut, polish and seal the marble for you and in my case. Cost $100 for BOTH tops. 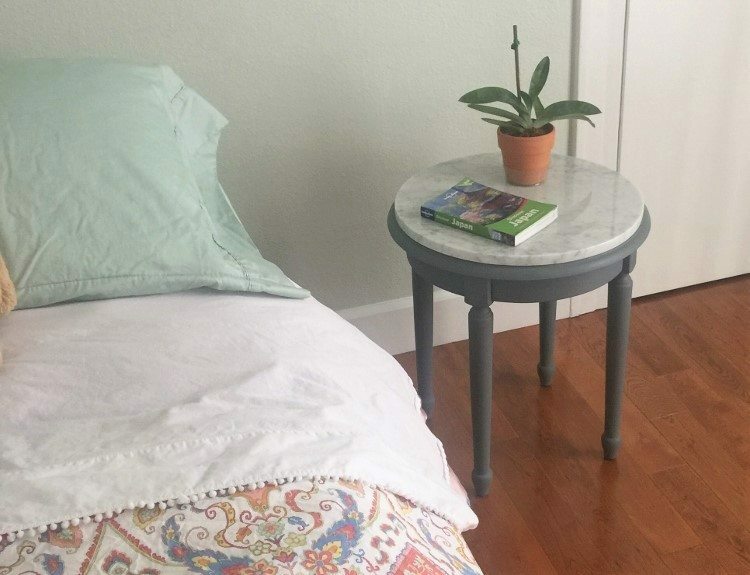 A marble side table will usually run at least $200- 500. 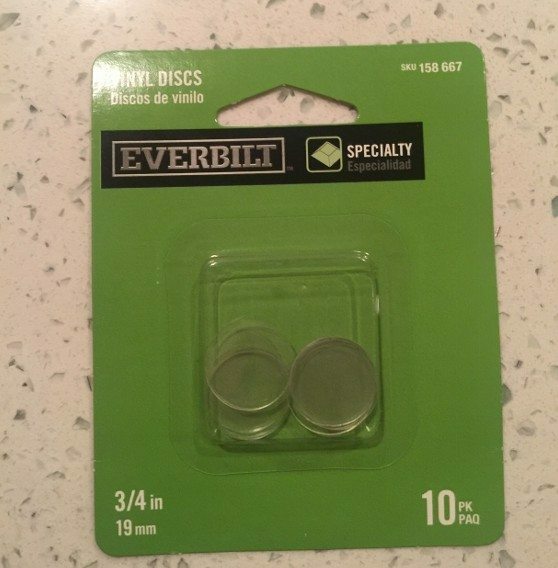 Last step: I bought “Everbilt” vinyl disc from Home Depot for $5. 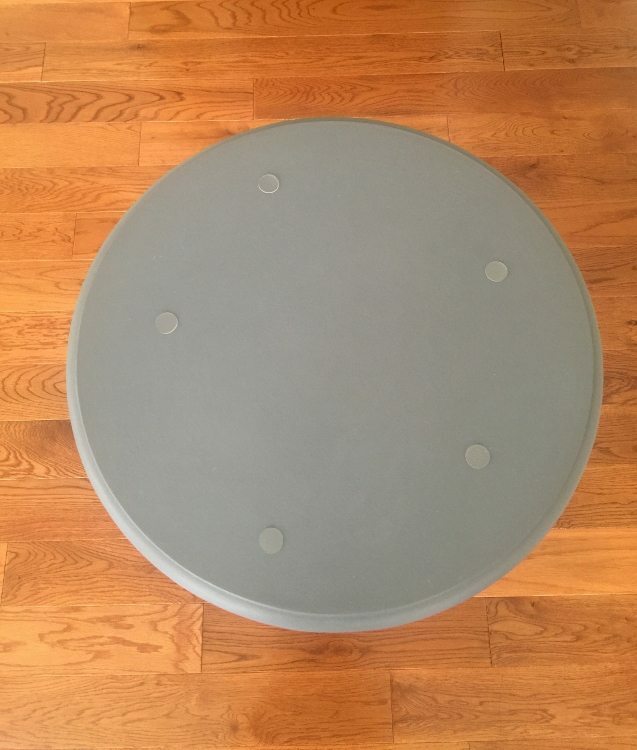 The disc comes in all sizes, pick the size that is right for your piece. 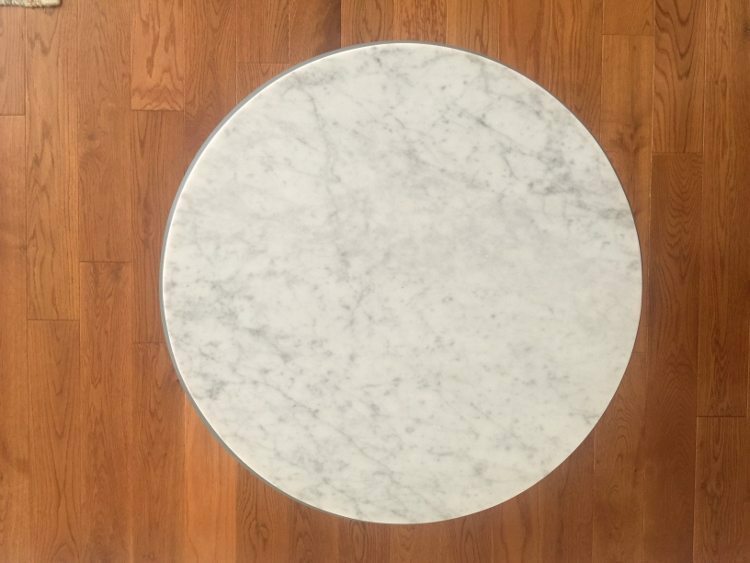 Simply place them on top of the table and they are a great temporary “adhesive” for the wood and marble. 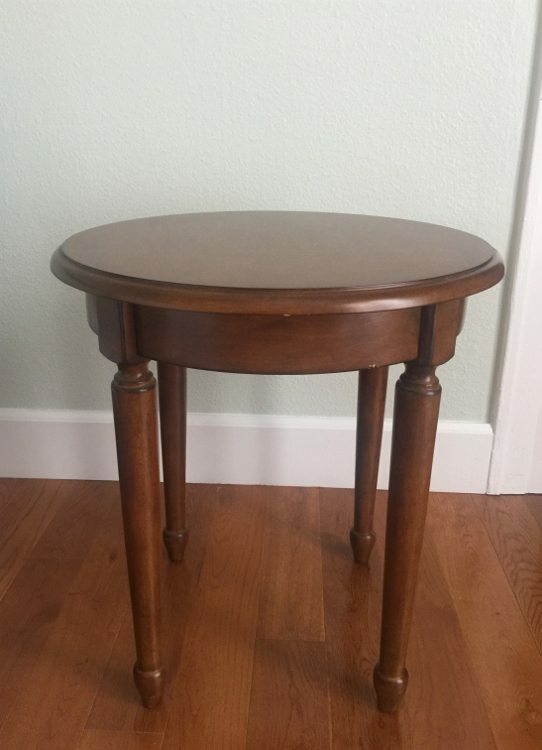 It won’t damage the wood and it keeps the marble firmly attached to the table. It’s a great solution if you’re not handy and if you don’t want anything permanent. 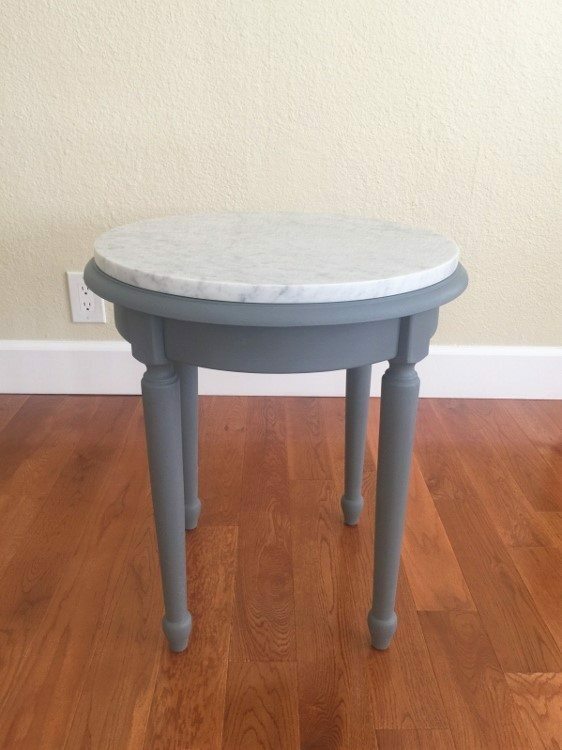 Be sure to check out my Upcycled Marble Coffee Table too!